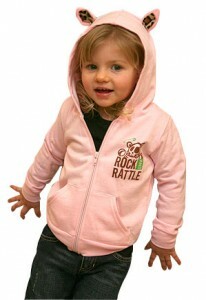 Rock and Rattle is an edgy apparel company for toddlers and babies.Some of their cool designs include tie t-shirts, onesies, dresses and the best hoodzies ever! 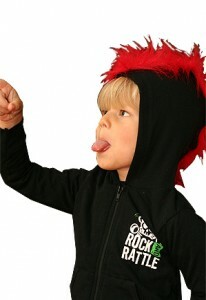 For boys, Rock and Rattle makes a fabulous hoodie that comes equipped with a velcro mohawk. This sweater is not only unique, but it turns heads – everywhere we go. When my son wears his, he looks like a warrior riding a tricycle. The bright red must bring out his alter-ego. Now that Fall is here, I have found that these lightweight sweaters are perfect for under a vest or as a jacket on a cool day. 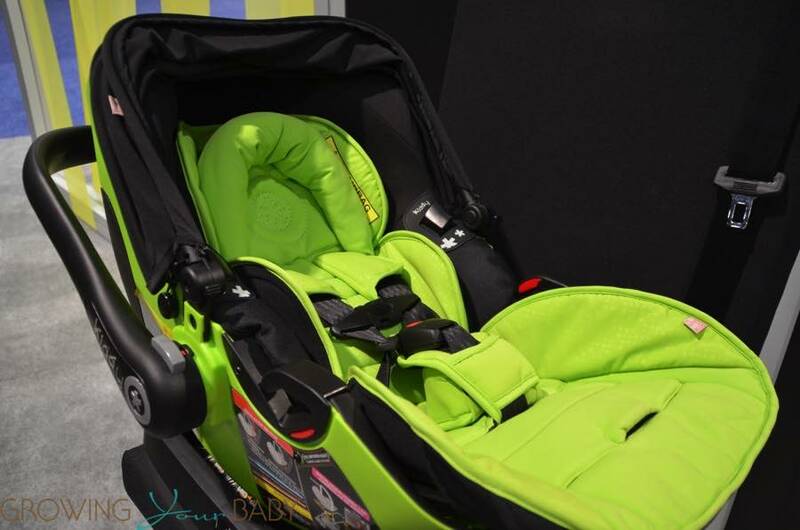 Parents who want their child to look original will easily find something here that will stand out in a crowd.Rock and Rattle’s alternative styles are the perfect way to show your child’s individuality. 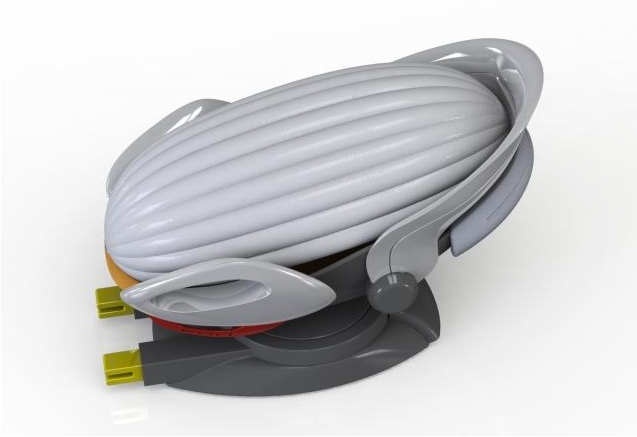 Additionally, you can feel good knowing that all Rock and Rattle materials are preshrunk, machine washable, 100% cotton garments from the sweatshop-free companies of American Apparel and Alstyle Apparel. 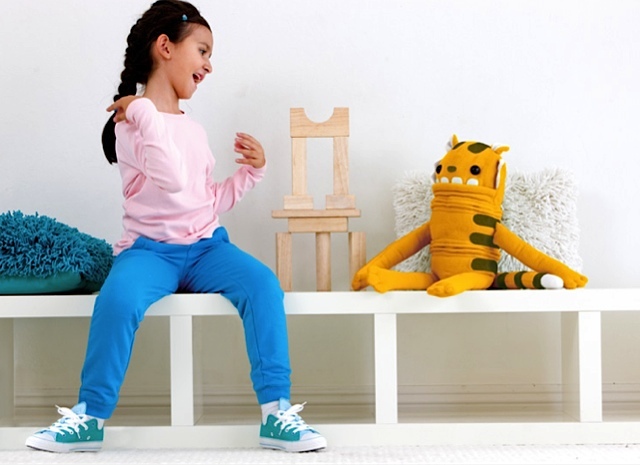 I could definitely see Cruz Beckham or Kingston rocking out in one of the mowhawk hoodzies.